Though business ties between Việt Nam and the Czech Republic have seen dynamic development, there remains great potential to develop trade and investment ties between the two nations. Deputy Prime Minister Vuong Dinh Hue made the statement during his speech at the Việt Nam-Czech business forum held yesterday in Ha Noi. The event was also attended by Czech President Milos Zeman. “This is very encouraging, yet, frankly speaking, it is still low compared to the potential and needs of our two countries,” he added. The EU-Việt Nam Free Trade Agreement coming into force in 2018 was hoped to open new opportunities in co-operation between Việt Nam and the European Union and between the country and the Czech Republic, Huệ said. He added that the 65,000 strong Vietnamese community in the Czech Republic contribute greatly to economic ties between the two countries. 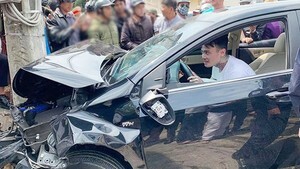 Thanks to support from the Czech Government, the Vietnamese community resides in almost all parts of the country and is increasingly integrated into the Czech society. “We hope that the Vietnamese community will continue to bring the Việt Nam-Czech relationship to new heights,” Huệ said. 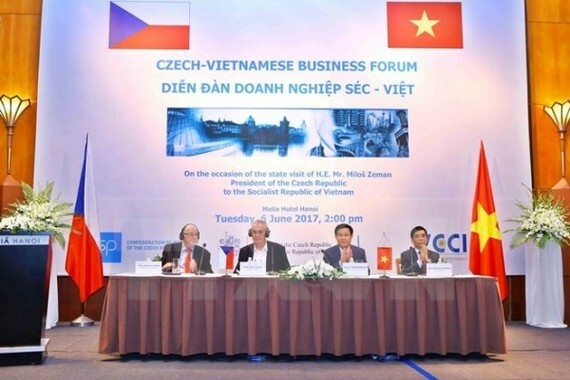 "Viêt Nam could be a gateway for Czech enterprises to enter ASEAN markets, and the Czech Republic could be an important partner helping Vietnamese commodities enter the EU," said Đoàn Duy Khương, vice chairman of the Việt Nam Chamber of Commerce and Industry. He encouraged both nations’ enterprises to study each other’s specific demands and business customs in order to devise export strategies. During his speech, Jaroslav Hanak, President of the Czech Confederation of Industry underlined the economic, trading and investment co-operation between the two nations, particularly in energy, manufacturing, infrastructure, chemistry, environmental protection and information and communication technology. However, the full potential of relations has yet to be realised, he said. "Bilateral trade is dominated by exports from Việt Nam, while other means of co-operation that could benefit both countries have been neglected." The forum also saw the signing of six co-operation agreements between Czech and Vietnamese companies. Hosted by the Vietnam Chamber of Commerce and Industry, the Czech Confederation of Industry and the Czech Embassy in Việt Nam, the forum brought together Vietnamese firms and nearly 60 Czech enterprises operating in the fields of energy, ICT, pharmaceuticals, water resource management, tourism and services.